Need help identifying an old ISA Multimedia card. Thread: Need help identifying an old ISA Multimedia card. Hi Everyone. I just found out about this forum so I signed up. A number of old (90's era) computers and parts just came to my possession. I am trying to identify some of the loose parts and I'm stuck on this one card. I have this old VL-Bus interface card and I can't figure out what it is. I've spent over an hour Google'ing different permutations of the information on the card and I've come up empty. I'm hoping that maybe somebody on the forum might recognize it, or know someone not on the forum that might know what it is. From what I can figure, it was made by Aims Lab and I think it's an old video capture card, or graphics card, or both. I do know that it has Auravision VXP500 Chipset, which my research tells me is for video. Unfortunately the I/O shield doesn't say if the ports are signal in or out. I'll attach photos 6 & 7 after this. Any and all help is greatly appreciated. Thanks! Last edited by DevilishBooster; April 13th, 2015 at 07:51 AM. It appears to be a Malifax "Movie Vision" ( Auravision VXP500 chip-based) video input MPEG1 board. 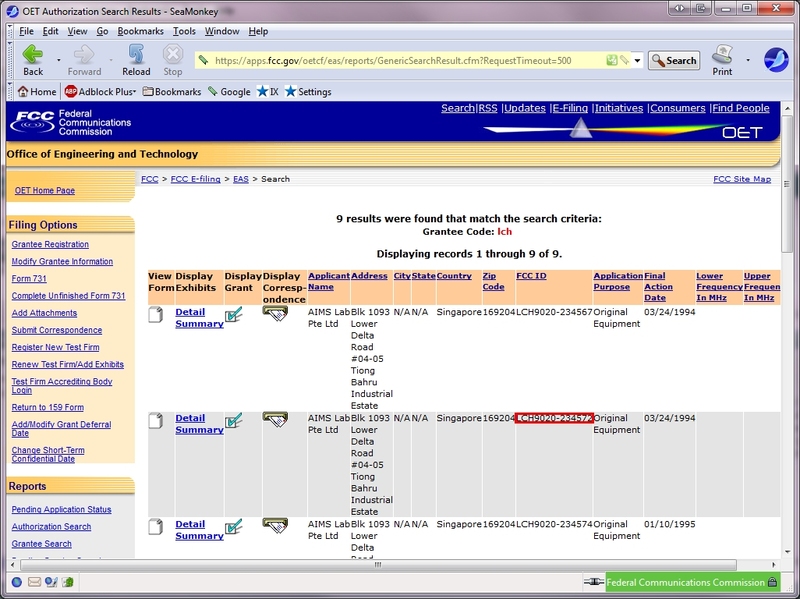 FWIW, according to the FTC.gov, that FCC ID of "LCH 9020 234572" was issued to Aims Lab Pte Ltd, Sinapore in 1994. Last edited by SpywareDr; April 13th, 2015 at 07:45 AM. Thanks for the reply guys. Sorry about not getting the last two pics up, but I guess a mod had to approve the post since I'm new to the forum. I actually found out what it is by discovering a duplicate card at the bottom of a "Box-o-Misc" that I hadn't gotten to yet for sorting. There was even the owners manual and driver floppies. Turns out they're AITech WaveWatcher TV-II capture cards. Mystery solved. Good to hear you finally got it figured out. Because I have come to possess several ISA/VL-Bus systems and extra components. I'm working on getting some old-school systems up and running. I even have components going back to a Intel i486SX 33MHz CPU. Just wanted to say thanks for posting this. I was having trouble identifying the same cards I picked up at a garage sale and a quick Google search led me here. Welcome to WinDrivers Nicholas Matthew. We are glad you were able to get help from the post.